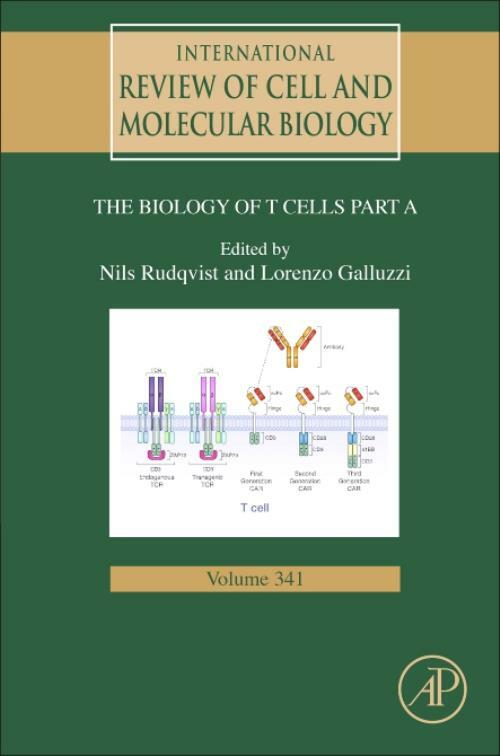 Biology of T Cells: Part A, Volume 341, the latest release in the International Review of Cell and Molecular Biology, reviews and details current advances in cell and molecular biology. The IRCMB series maintains the highest standard by publishing timely topics authored by prominent cell and molecular biologists. Specialized topics in this release include TCR signaling: Molecules and mechanisms, TCR diversity: Purpose and generation, Transcriptional programs underlying T-cell differentiation and function, Surface phenotypes of CD8+ and CD4+ T cells, Co-stimulation and co-inhibition in CD8+ and CD4+ T cells, Regulated cell death and T cells, Molecular mechanisms behind T-cell priming by DCs, and more.